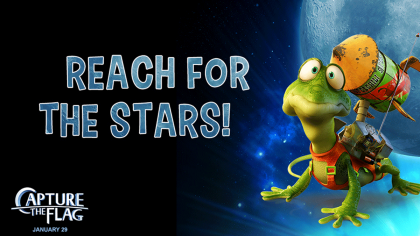 Design your very own rocket to fly to the moon! If you love designing and drawing, this is for you! 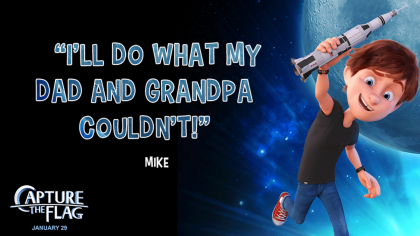 Capture the Flag is out in cinemas now and it’s all about a boy called Mike and his friends and their adventure to save the moon from an evil billionaire! 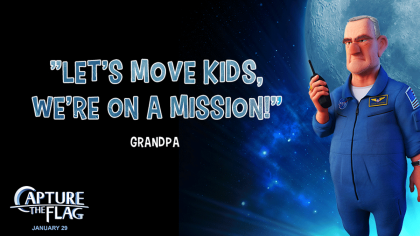 It’s not easy getting people to the moon. You have to make sure you have enough power to get away from Earth’s gravity, enough fuel to get home again AND it needs to be light enough to get it up there in the first place. Make sure you fuel yourself up with ideas of some of these super-cool rockets! 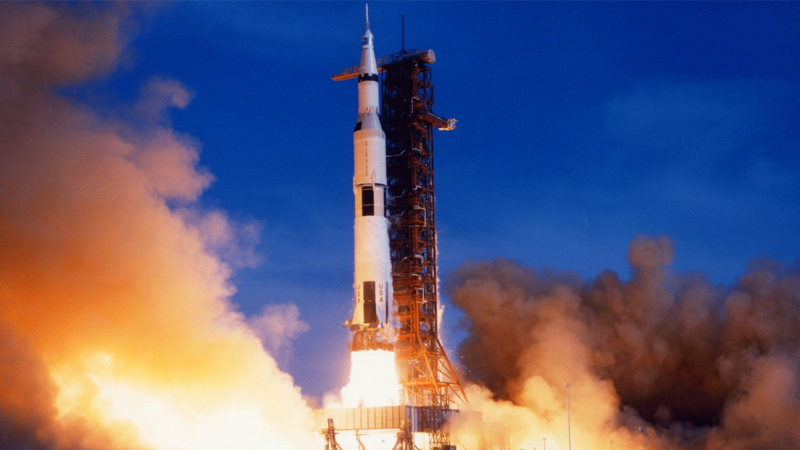 The Saturn V Rocket was used in the 1960’s and 70’s to launch people to the moon. It’s the rocket Mike’s grandpa, Frank, missed out on going on. It was huge! About the same size as a 39-story-tall building, it was taller than the Statue of Liberty in New York! When the Saturn V rocket was full of fuel, it weighed the same as around 400 elephants. It was made with 3 parts, or “stages”. Each stage would burn its engines until it was out of fuel. Then, it would fall away from the rocket, and the engine on the next stage would fire. The first two stages would fall into the sea, and then the third would either stay in space or hit the moon. The first stage had the most powerful engine, with the third stage having the smallest to help it push away from earth’s gravity. 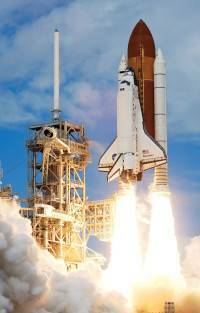 The Space Shuttle carried up to 7 people into space between 1981 and 2011. It was made in 3 parts, the orbiter, the external tank, and the solid rocket boosters. It launched like a rocket, but it landed like a glider aeroplane on a runway. The orbiter looks a bit like an aeroplane, and there were 5 in total NASA used: Atlantis, Challenger, Columbia, Discovery and Endeavor. This was the part where the astronauts lived and worked. 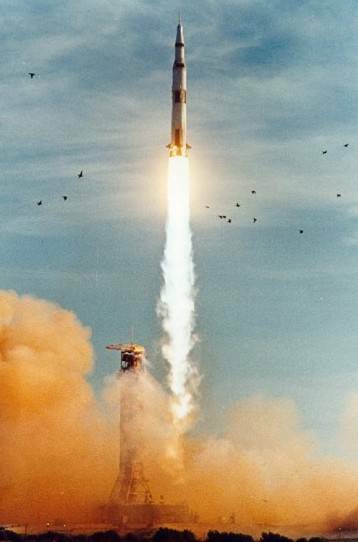 The large orange part was the external tank which was full of fuel, and the boosters helped give lift away from the Earth’s gravity. The space shuttle was used to put satellites into space, carry large parts to build the International Space Station, and it was a lab too! Doing experiments in space is a bit different than doing them on Earth. 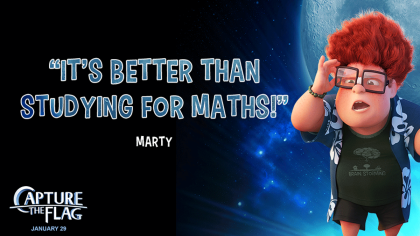 We’ll be picking out our favourite rocket designs here on the Fun Kids website, so keep checking back here to see if yours made it!